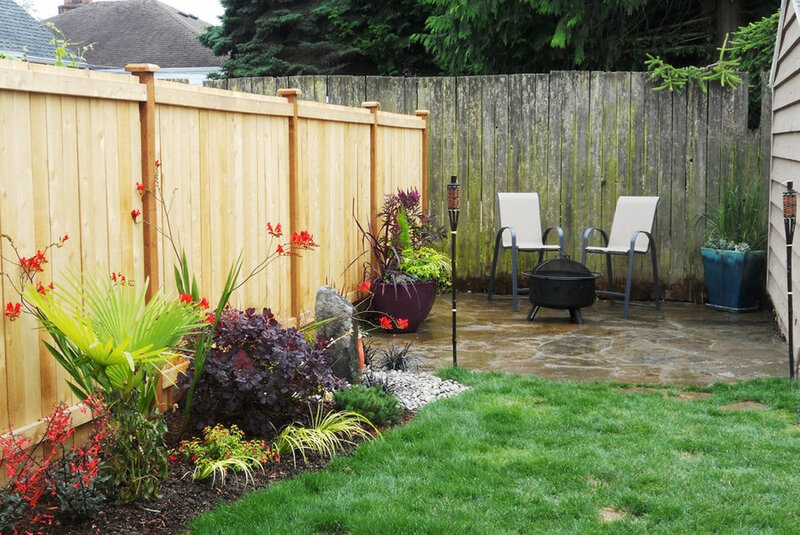 A small garden with dreams of travel to exotic locations. 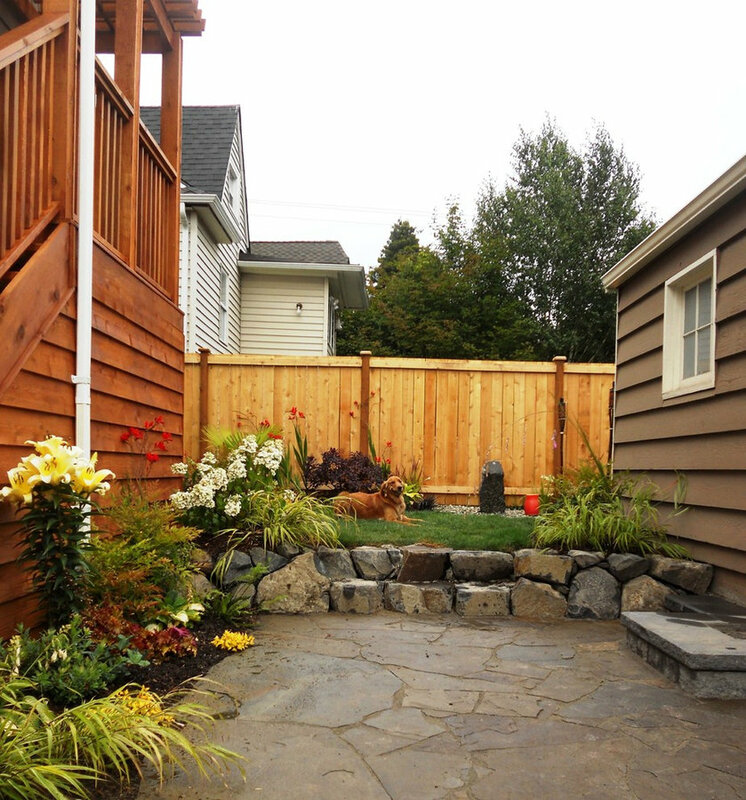 This young family needed a place for stay-cations where everyone including the dog had space to play and relax. 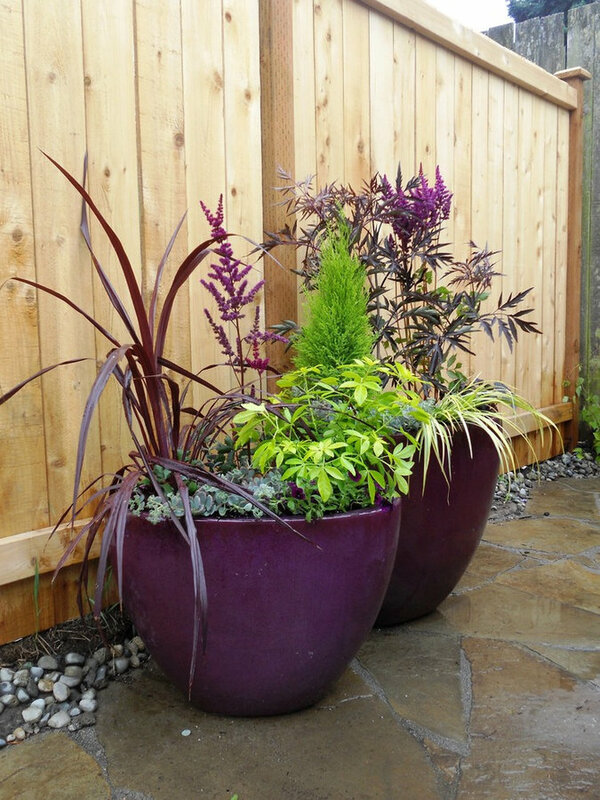 The only plants requested by the homeowner were palm trees and then just lots of color. 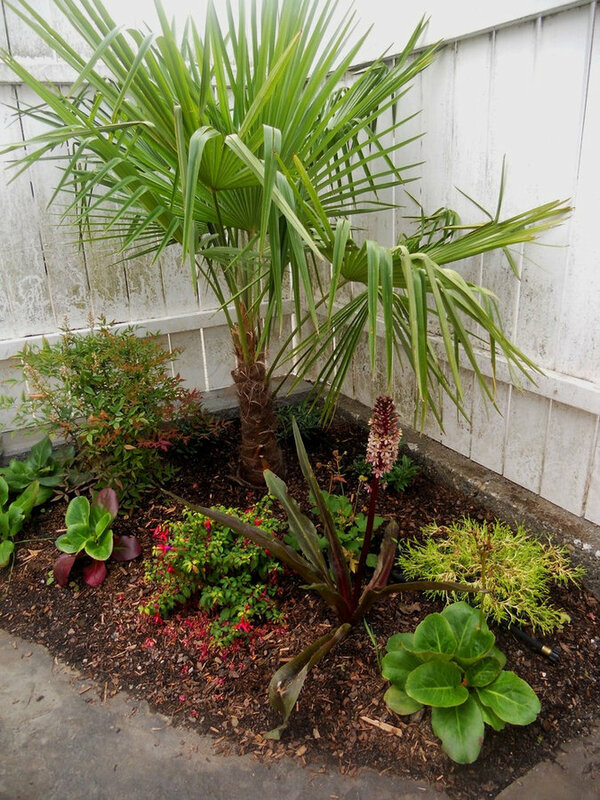 The palms set the tone for bringing in plants that thrive in the Pacific Northwest but still have a tropical feel. Hot plants combine with a water feature, the cool tones of basalt and blue stone for a retreat where everyone feels at home. 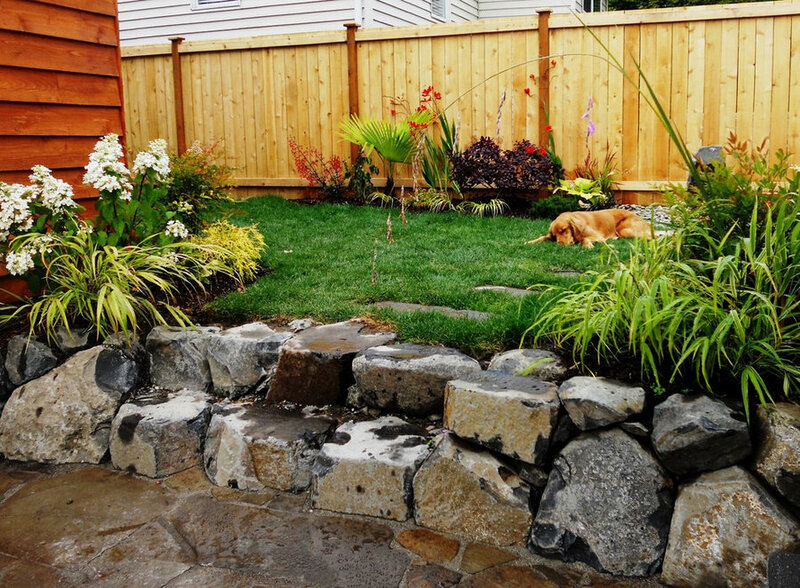 Hardscaping installed by Altered Earth LLC.